Captain LD Hatfield is a Franklin County native. Raised on Apalachicola Bay with over 25 years of experience as a tournament angler, winning two Florida federation titles. Growing up he accompanied his father on commercial fishing trips, learning the best fishing spots, oyster bars and reefs the Apalachicola Bay has to offer. He is a proud veteran, serving his country in the U.S. Army. Captain LD is dedicated to showing you the best time. His outgoing personality will be sure to entertain. Come hang out with Captain LD on Friday evenings at The Red Pirate Family Grill & Oyster Bar to relax, enjoy an evening of family fun and hear him performing his vocal talents with his band. Tide Life Charters is dedicated to providing you with vacation memories to last a lifetime! Tide Life Charters is a proud supporter of our community. Be sure to like us on Facebook for updates and follow us on Instagram for pictures of client’s getting their fish on! 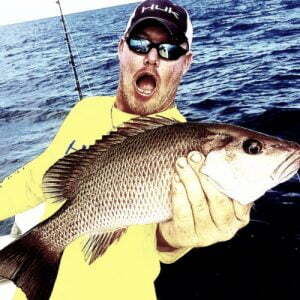 Reservations for St. George Island fishing trips and tours fill up quickly! Click here to book your trip online or call/text (850) 899-3037. Messages will be returned as soon as possible.